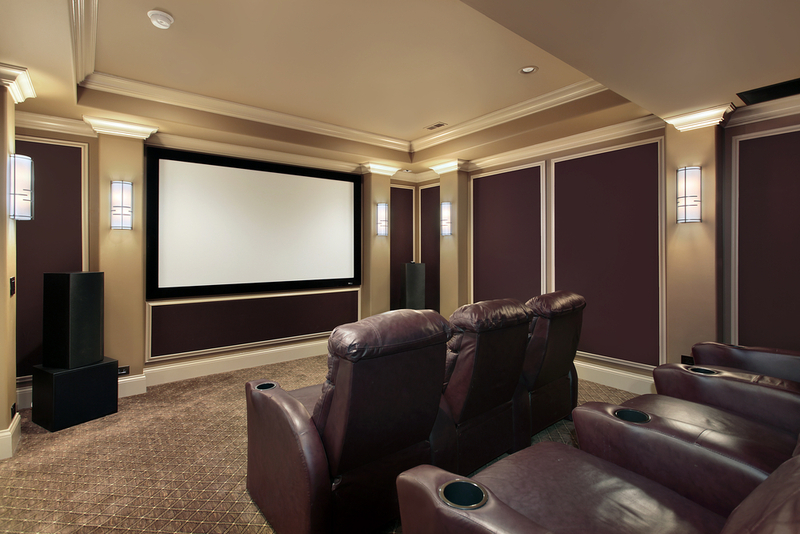 If you've always wondered what it would be like to have your very own movie room then these movie room ideas are just what you're looking for. Who doesn’t love going out to the movies? Whether you love a good romance, a comedy or anything else, you probably love kicking back in those plush seats and enjoying something on the big screen. But what if you could have that great experience without having to leave your house at all? 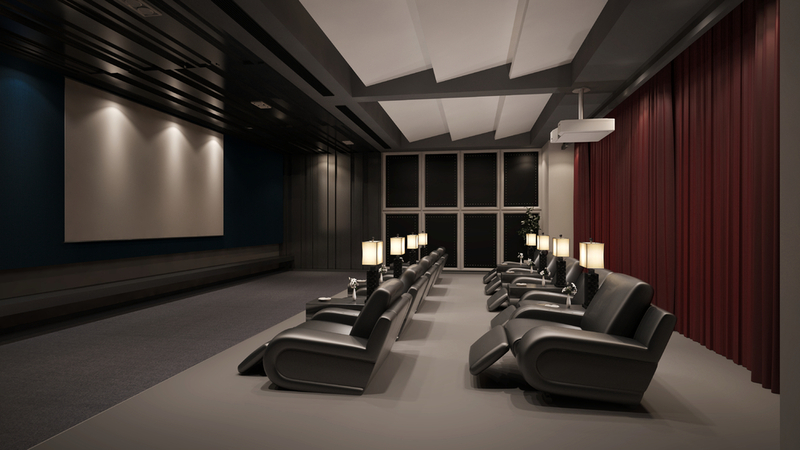 Wouldn’t it be awesome to be able to just head down to your own movie room and enjoy all of your favorite movies? That’s what these movie room ideas are all about. They can be in a spare room, basement or man cave. What is a Movie Room? 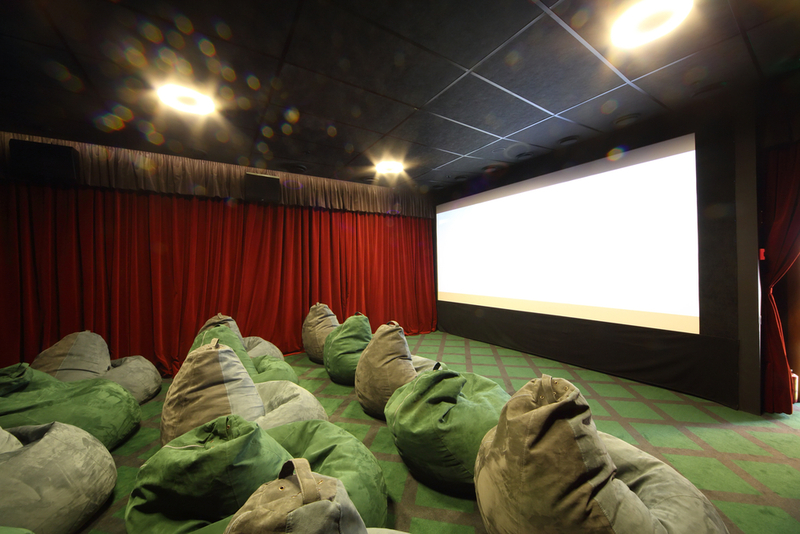 So what exactly is a movie room? 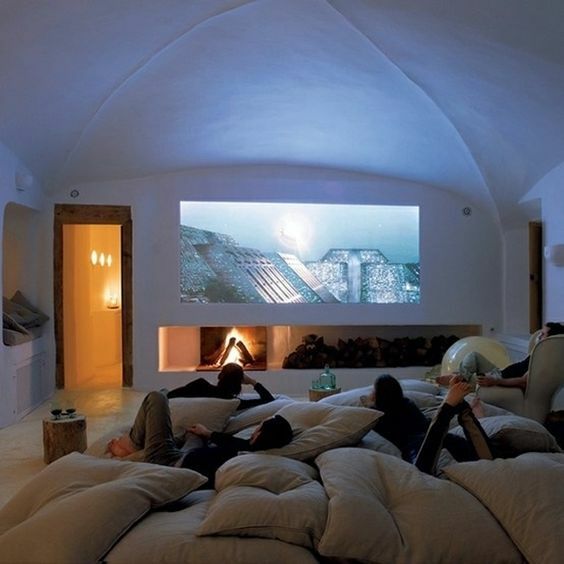 It’s exactly what you would think, a room to watch movies in. 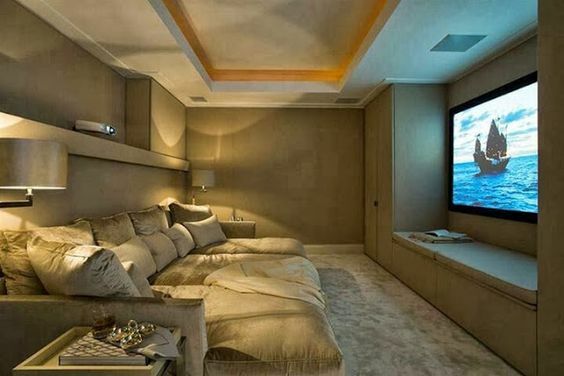 But before you go thinking ‘I do that in my living room’ here’s what else a movie room is. It usually has comfortable recliners or movie theater seating, like those plush chairs you see when you head to the movies normally. Some people prefer beds or something else to get comfortable in, but it’s entirely up to you. A movie room will also have a large screen instead of a TV. This is to get the large picture that you always associate with a movie theater. You’ll be able to see things on the ‘big screen’ again. This means you need a large empty wall to put the screen on. 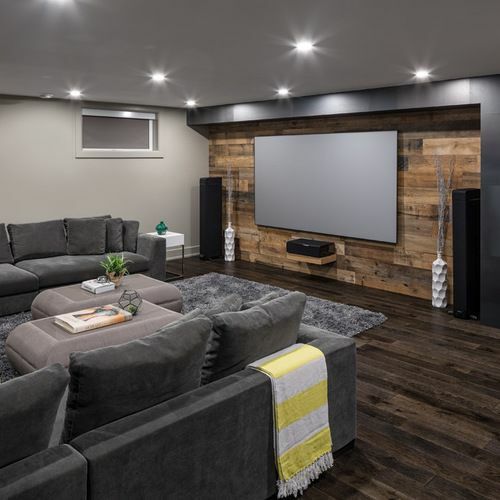 You may even want to get a projector to put the movie on rather than trying to play it through a DVD player and then onto the wall (which can be complicated). For some people, a movie room just isn’t complete without a popcorn machine or other snacks as well. 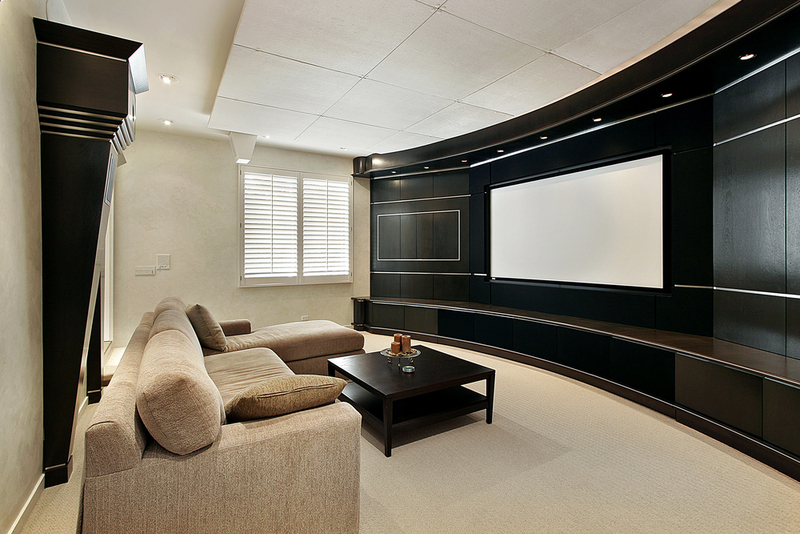 It’s entirely up to you if your movie room will also have snacks or a beverage table or bar of some type. It’s also up to you just how many seats there are in the room and how large of a room you want to use. Some people use a small bedroom while others may have a room the size of a traditional movie theater. 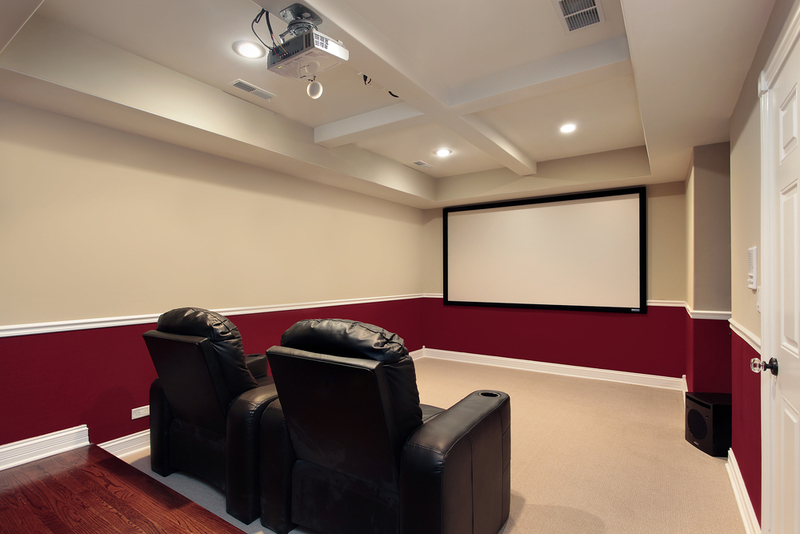 There are plenty of costs associated with a movie room but there are plenty of ways to cut costs as well. If you buy standard recliners or daybeds to put in your movie room you’ll likely be able to keep the costs down. It will still cost you a few thousand dollars, but that’s much less than you could spend if you decide to go all out on the things you’re buying. 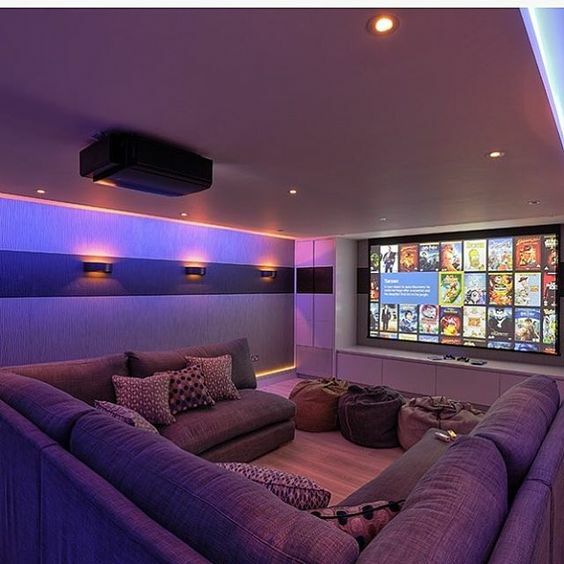 For someone who wants to go all out on their movie room, with higher quality seats, a state of the art projector and more, it can cost tens of thousands of dollars. Keep in mind, some people do some remodeling to make room for their movie room. If you’re going to remodel your house to add on this room or to improve the room you’re using, your costs can go up quite a bit. 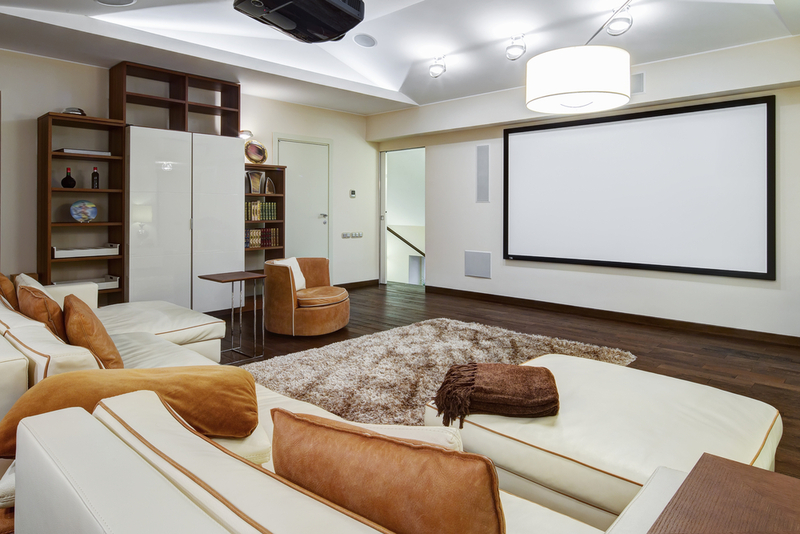 A true home cinema could cost as much as a small house at upwards of $30,000-40,000. For something a little lower however, you could still be looking at around $15,000-$20,000, so think it through carefully. What do you want? 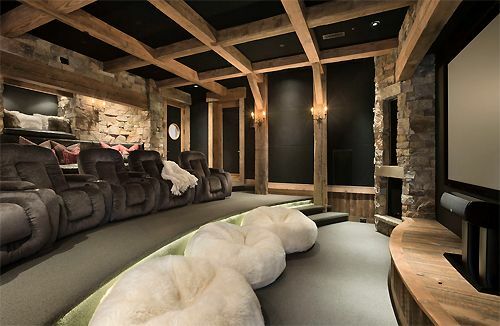 Will any of these movie room ideas work for you? 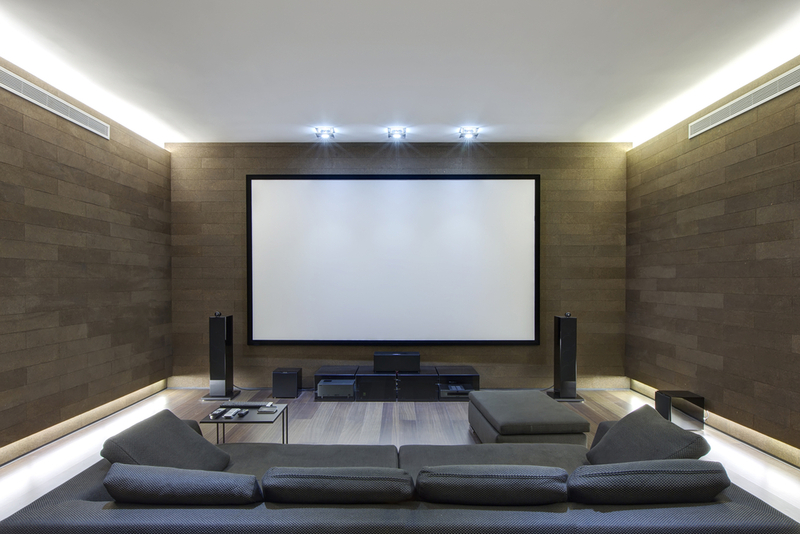 Or are you planning something different with your own movie room ideas? 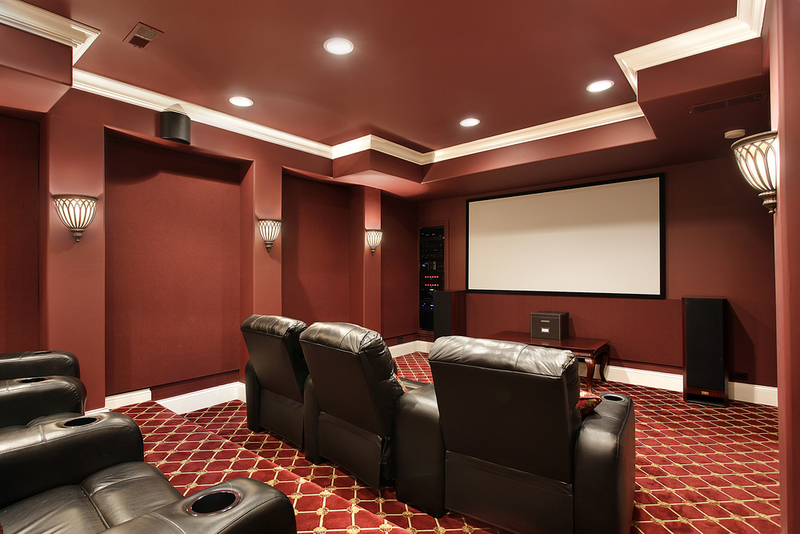 If you want to save a little on a movie room but still get a great accomplishment you will like this room. it has couches to make it more comfortable for relaxing and a large screen but with some space for other things on the sides. This room has really comfortable looking chairs on risers to make sure everyone can see. It’s also got soundproofing on the sides and a good projector as well. In this room you have levels of seats and you have individual recliners with cupholders for everyone. The screen is large and the controls and speakers are great as well. Here we’ve got individual chairs with cupholders again and huge speakers to take care of everything. You also get traditional movie theater lighting, which is definitely fun as well. Who doesn’t love sitting in a bean bag chair? With this you get a large screen and red curtains down the sides for a fun and elegant feel at the same time. This room is more simple with only one large couch and a large television screen. All together it’s a great design, however, and it’s inexpensive compared to a lot of others. This is a high class and super elegant room with recliners for each person and individual lamps. You also get a large screen and a great curtain in the back. Plus the entire room is designed to be soundproof. Here we’re a little simple, with the couch and the large screen with just a couple speakers. It’s a simplistic room with a unique wall design, but it’s definitely a nice design for anyone. Here we’ve got a large couch that wraps around to give you a good view of the screen. 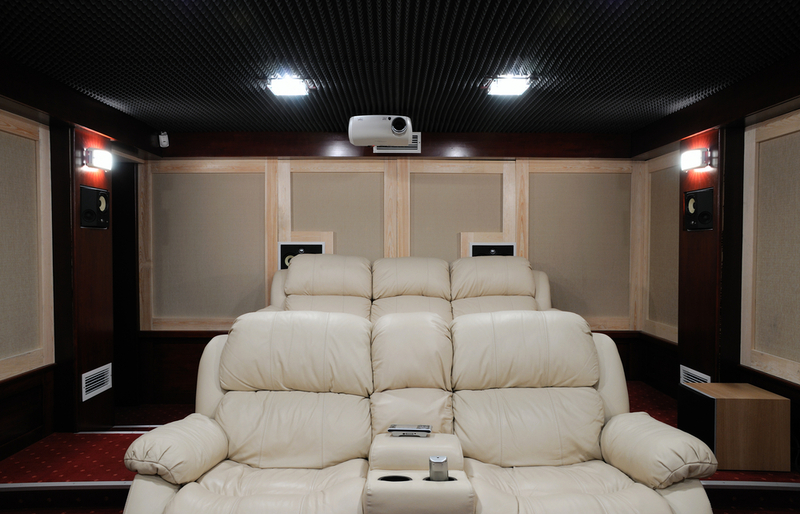 It also has several bean bags and the traditional move theater style lights down the sides. Here you’ve got a large couch that’s almost more of a daybed for plenty of space to sprawl out. There’s also a large screen and enough sound dampening to keep your room separate from everything. This is definitely a unique room with separate levels to each set of chairs. It also has comfortable chairs that are hidden behind the beautiful curtain. This room is great for everyone to hang out in with the oversized pillows. The fireplace under the screen makes it unique as well and that’s definitely a fun way to enjoy your movie. 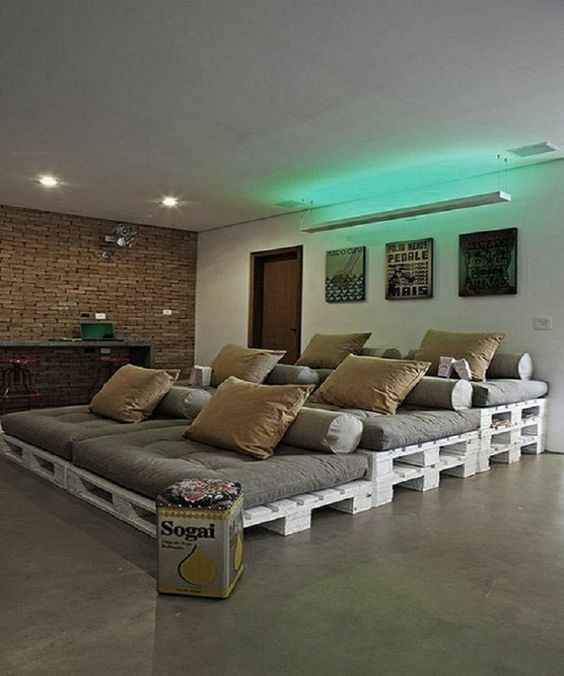 This room has pallets with cushions so everyone has their own space and pillows and each one is higher than the one in front to improve your view. It’s a great room and it’s an inexpensive one at the same time. 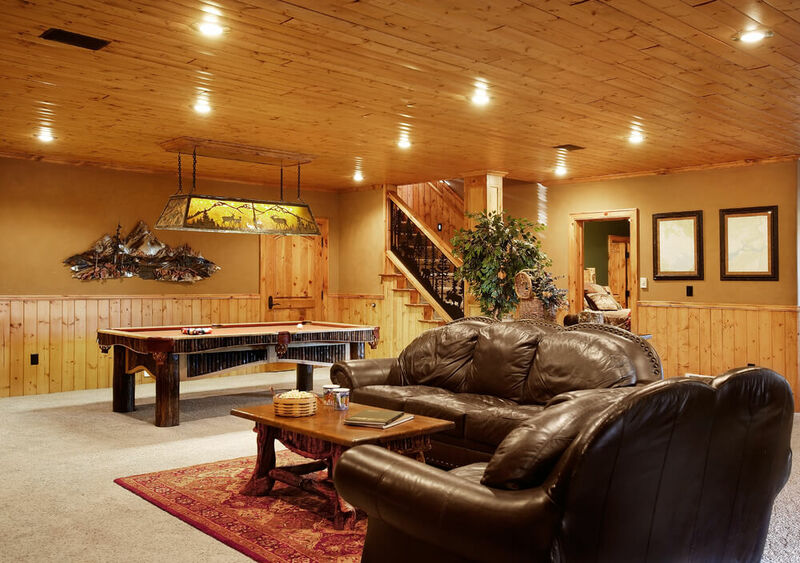 This rustic room is great because it has wood walls and ceiling. When paired with the plush style bed you’ve definitely got something comfortable and a lot of fun too. 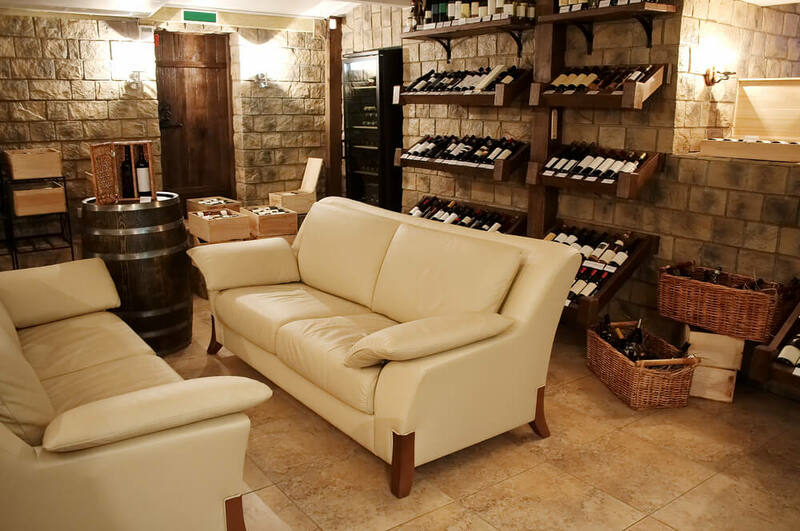 There are couches around the outside here and space on the inside for your drinks and snacks. With the wood background wall and plenty of space on the screen you’ll love watching movies here. Well maybe you want a drive-in theater for your room? 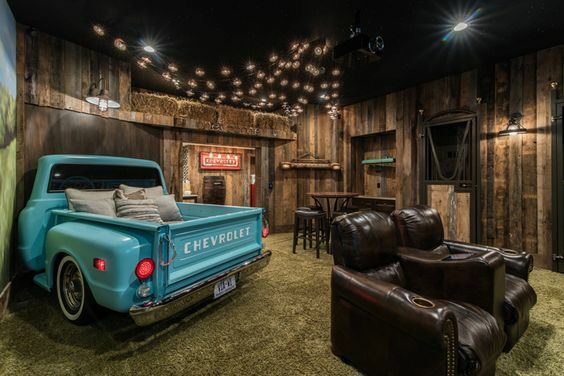 This is definitely a whole lot of fun and it gives everyone enough space to hang out in a rustic style barn. 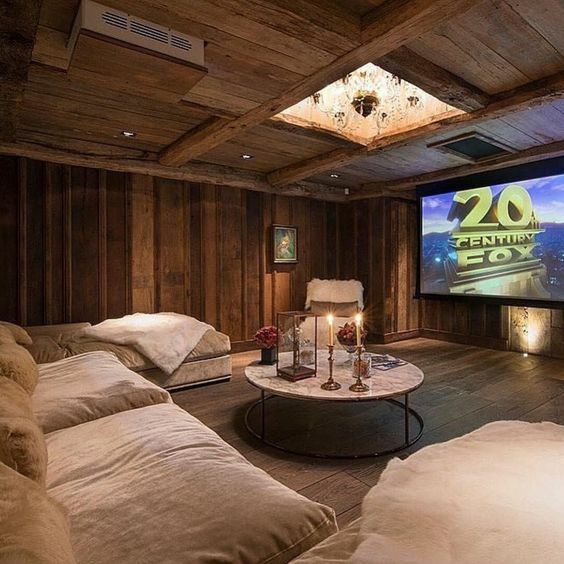 When it comes to movie room ideas, this is definitely a unique one. Separate couches and beds for different people makes this room fun but instead of being fully dark it’s actually full of natural light (if the curtains aren’t closed). Still, this can be great for any room in your house to become a movie theater. 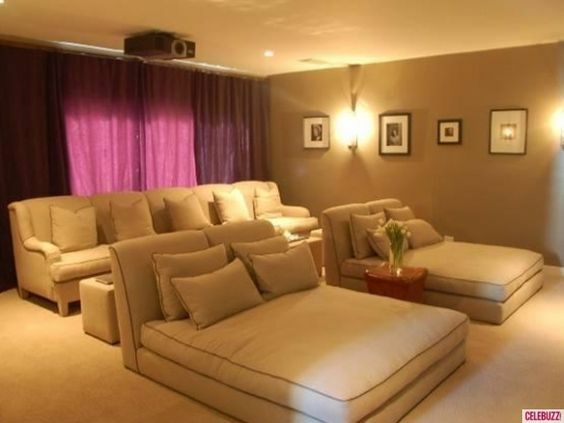 These movie room ideas are common but definitely beautiful. This is a very elegant room with bean bags on the first level and chairs on the second. It’s even got couches on the third level and a large screen to watch. What’s even better is the look of the room with the stone and wood exposed everywhere.